When police discovered that wire cables were being systematically damaged in cars and a string of houses, they launched an urgent high-profile appeal for information. Police began their hunt for the vandals after seven cars had their ABS brake cables cut or damaged and several homes had their phone cables severed in north Swindon. Officers issued a public appeal and made house-to-house enquiries urging residents to report anyone seen acting suspiciously. 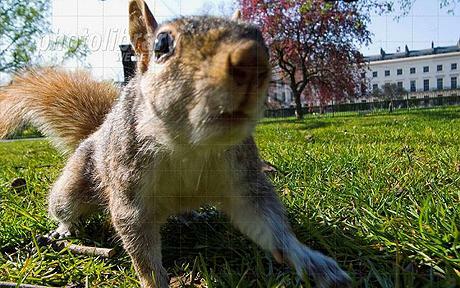 High visibility police patrols were also carried out and many local people were spoken to during the three-week probe.But two weeks later, officers were forced to call off the operation as it emerged the culprits were in fact squirrels. via Police probe into vandalism leads to a gang of … squirrels – Telegraph.